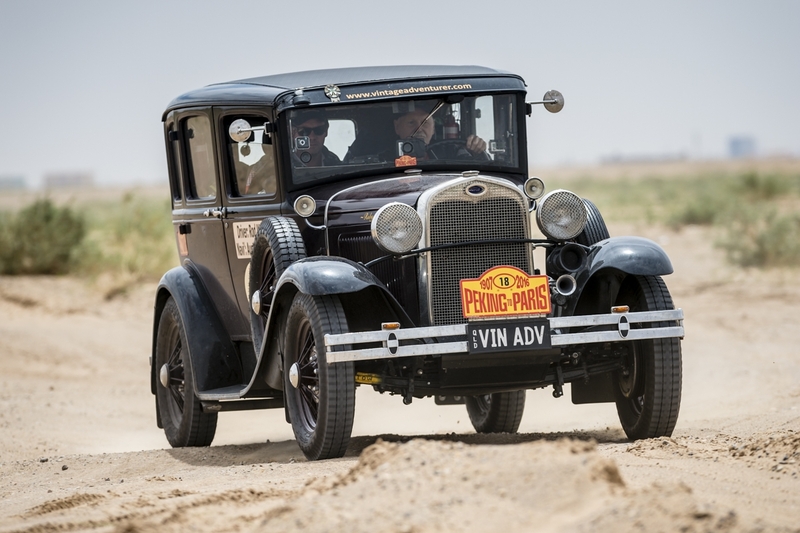 Today is a rest day in Ulaan Bataar, day 5 of the Peking to Paris rally. No, no real rest day for anyone at all! At 6.30am Rod and Austen were at the Nomads workshop starting repairs by 7.15am. Austen brewed some coffee on his portable stove. “Saved my life,” Rod said. “We’ve been straightening brackets and tightening all the loose bolts and there were many. I left Austen with his coffee and set off in a taxi with an interpreter to search for some replacement shock absorbers. Many 10’s of thousands of Mongol currency later, I came back with nothing. “It was now noon and in less than an hour, we had bodied up two shocks for the rear but none for the front. The front axle hubs are bent and on the right we have 100mm of negative camber and on the left it is not so bad with just 65mm of negative camber which means the wheels are in at the top and out at the bottom. “For the tech people reading this we had 60mm of toe in and after adjusting the tie rod to the max’ we ended up with just 20mm toe in but need just 3 to 4mm. “After working on Ruby we took her to the beauty parlour for a wash and dry down and the workers did not charge us a dime! They were happy we were there, they sat in the car and took heaps of photos. What a great bunch of guys they were. Cocktails tonight and a good nights sleep and off tomorrow for another desert run…can’t wait.